Amanda & Steve met while getting their MBA degrees. Amanda is Brazilian and moved to the US to get a MBA from Penn State University. Steve was starting the second year of the program when she joined, and they hit it off right away. They spent most of the first Penn State tailgate and the whole game together and have been pretty much inseparable ever since. Initially they were both in school, so they always tried to catch each other before, after, and in between classes. After Steve graduated, they moved in together in his old apartment, and then they got a different apartment together. Now they are planning their move to New Jersey this year due to Amanda getting a job there. Their hope is to buy a home and continuing to build their lives there. Amanda and Steve had been talking about getting married, and he asked her to pick out her ring, which she ended up doing. He never told her when he was going to get it, and he bought it in secret. They had a trip planned to Philadelphia, and one of their favorite things to do is just walk around aimlessly through cities, find cool places and just hang out. So when they got there, they decided to go for one of these walks. The last time they were in Philadelphia, before this one, they went to a park and some of the jokes that started during this walk in the park still last to this day. Steve said he wanted to go to the park so they could again see the statue that started these inside jokes and while in the park, he proposed! She was really surprised and had no idea he had gotten the ring already. Amanda loves Steve’s sense of humor and how he makes her laugh every day. She also loves his attention to detail and how much he cares; he will remember little details from stories she told a long time ago, and is really sweet in everything the does. She also says that he just smells so good! Steve loves Amanda’s general disposition and her really ‘go with the flow’ type of attitude, the way she makes him laugh and is really witty, and how she willingly decided to join in the misery of being a Mets fan with him. In their free time they enjoy walking around cities they travel to and search for funny statues (the statues at the Capitol were totally meant for them! ), going to heavy metal concerts together (their musical taste was what brought them together when they met), binge watching Netflix under their soft plush blanket, discovering new wines to love (they were so happy when they got their first wine fridge), and cooking together. Fast-forward to February 9th, 2019 when this beautiful couple got MARRIED! 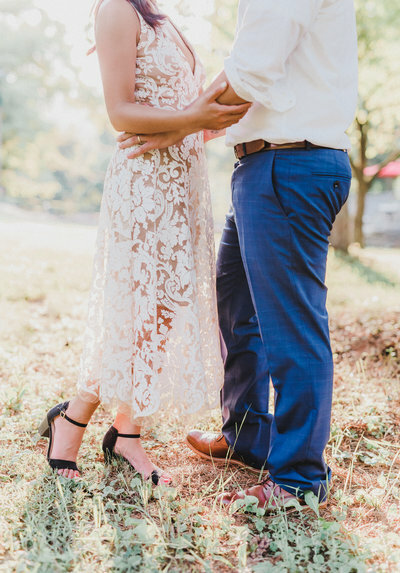 Their intimate wedding was just stunning! They were so excited about the string quartet that played during the ceremony and getting their families together. Because of the distance, this is the first time their families met each other. It was neat to hear where all of their guests traveled from. Congratulations, Mr. and Mrs. Devine! We are so happy for you and are so thankful to have been a part of your wedding day! We can’t wait to follow along with your life adventures. Soul Focus Media documents weddings, portraits, and commercial projects in Pennsylvania & destinations worldwide.